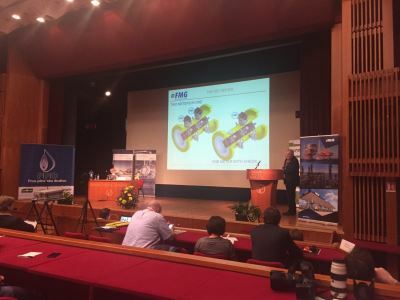 Flow Meter Group gave several lectures in Slovenia and Croatia last April about our exclusive range of products. Our expert, with a lot of experience and as CTO , Mr. Richards gave this lectures. To get more information about the topics, and presentations, please inform us. Additional Flow Meter Group was presented during the 29th INTERNATIONAL SCIENTIFIC & EXPERT MEETING OF GAS PROFFESIONALS in Opatija. 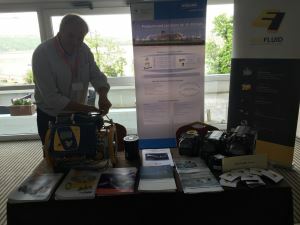 This international gas conference and exhibition - the largest annual gas event in South- East Europe, brought a lot of big interest. Together with our partner Ekofluid, partner for Croatia, Slovenia, Serbia and Bosnia and Herzegovina, we highlighted our new product FMT-Dc Turbine Gas Meter. The FMT-Dc Turbine Gas Meter is a special turbine meter (MID approved for fiscal use by the NMi) with two independent measurement units in one body. Therefore the performance of the FMT-Dc is equal to the FMT-Lx, but with two separate indexes the meter can monitor itself which prevents unnecessary maintenance.